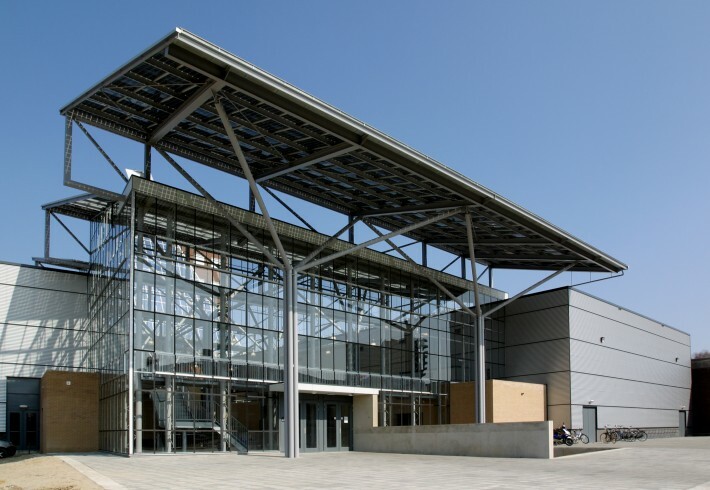 This multifunctional sports complex is part of a small school campus (see project School Campus Pantarijn) and offers six gymnasium halls for use by schools, two arenas (each with a floor space exceeding 1,000 m2) for sports clubs and seating accommodation for 1,000 spectators, a basement for sports clubs, catering facilities with overflow space and a central entrance hall suitable for multiple use. 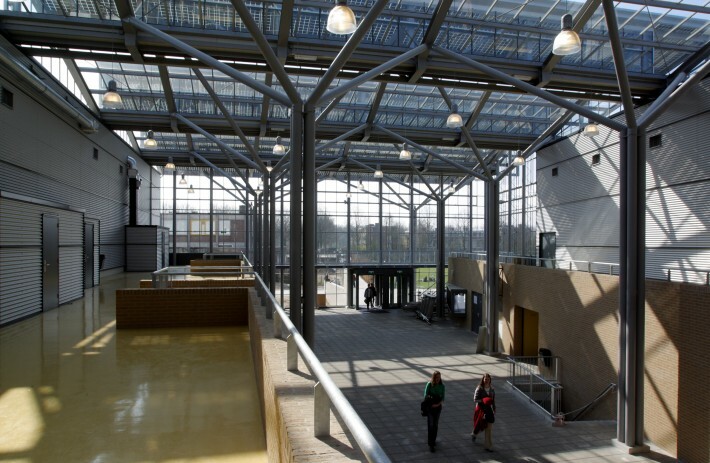 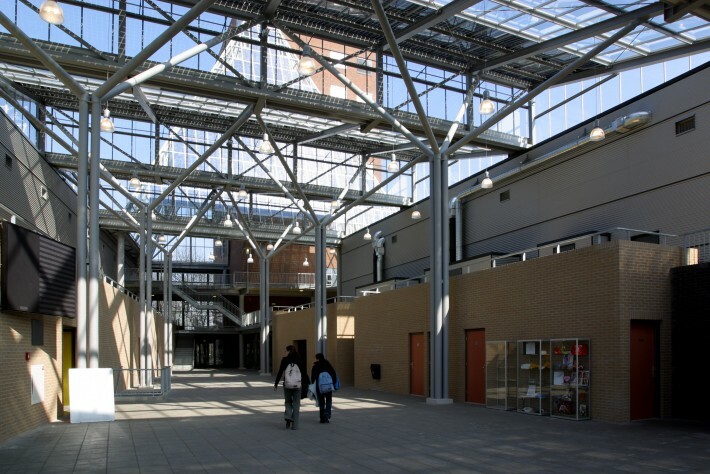 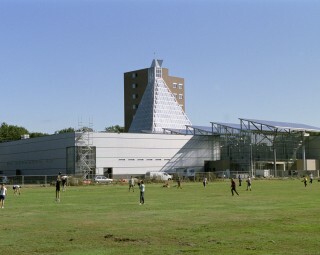 The building is distinguished by excellent energy efficiency and sustainability. 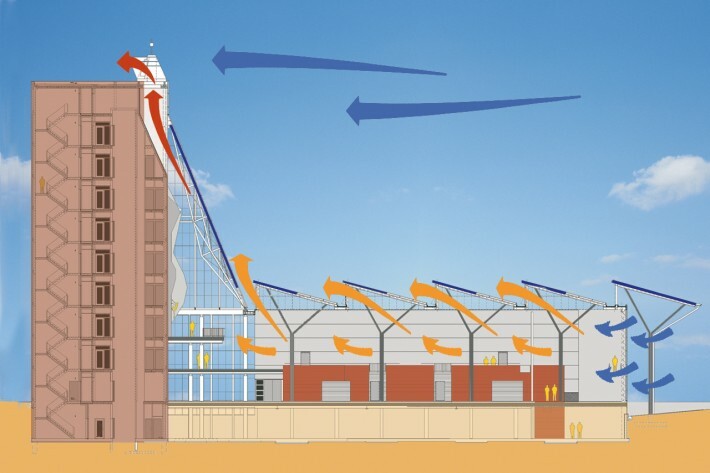 One of the most striking features of the complex is the highly energy-efficient ventilation concept, which forms an integral part of the design. 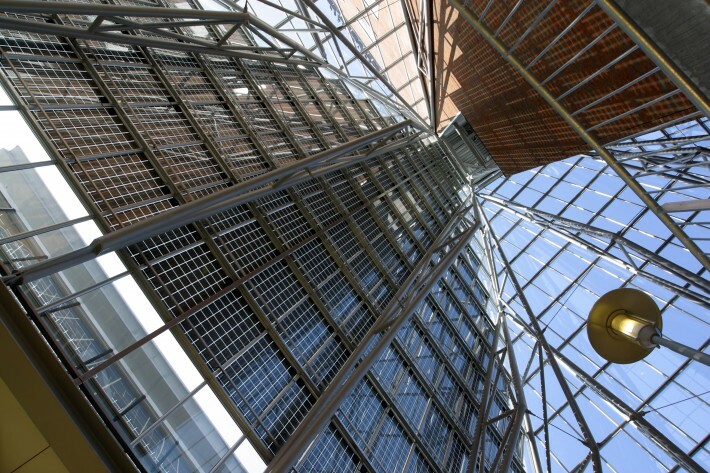 This helps to give the building a transparent, somewhat technical look. 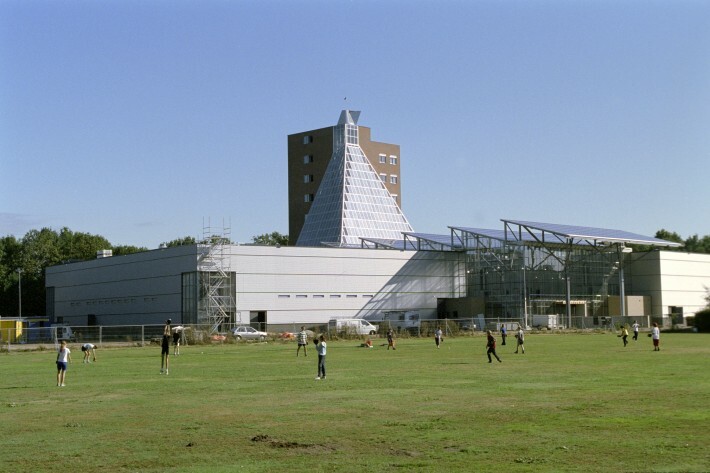 The concept is based on natural ventilation generated in the steeple-like glass ‘sun chimney’ that towers above the rectangular sports complex. 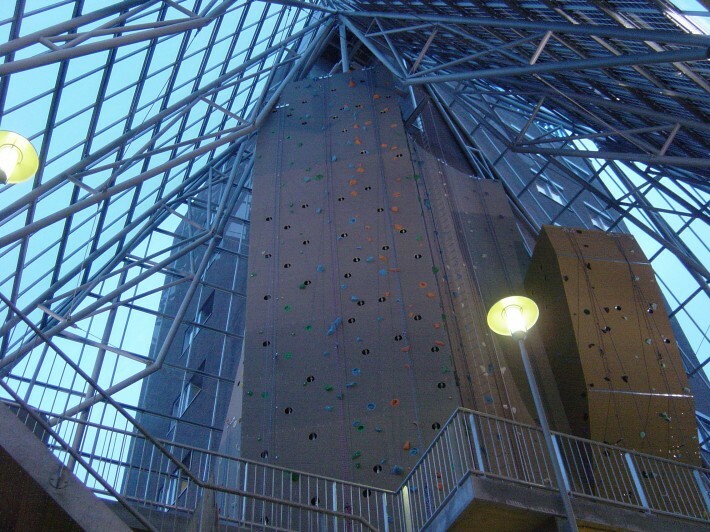 This ‘solar chimney’ has the additional advantage of allowing a 25-meter climbing wall to be included in the facilities offered.